Let’s say you have an unread email that’s older than 60 days. Will you ever read it? I doubt it. It can be frustrating to keep seeing unread emails in your Inbox, but on the other hand if you mark ALL your emails as read you will likely mark as read recent emails that were supposed to be actually read in the near future. So you may do more harm than good. The solution is to mark as read only those unread emails older than a given period of time, like older than 1 or 2 months. Such emails are unlikely to be ever read. You can achieve this result using the Outlook Advanced Search options. In Outlook 2013, go to the Outlook Search Tools -> Advanced Find -> Advanced -> Define more criteria -> select Date/Time fields, then select the “Received” field to be “on or before” a certain date. To be honest, it’s not a straight forward solution and you would have to redo & update the search criteria each time when you want to mark as read older emails, date by date. 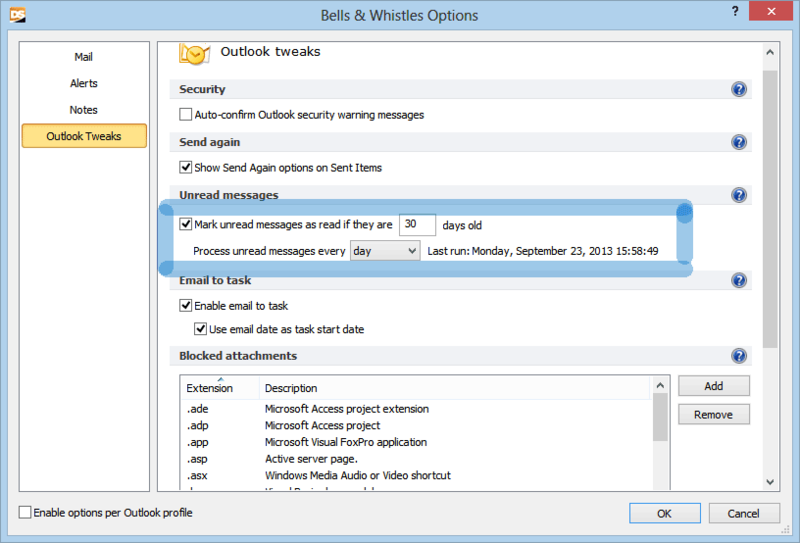 Bells & Whistles is an Outlook add-in that – among several other Outlook tweaks – gives you an elegant solution to mark old unread emails as read. 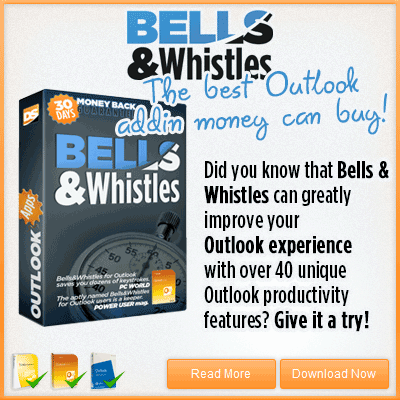 Simply install it, start Outlook and go to the Outlook Tweaks tab of the Bells & Whistles Options window. Here you have the option called “Mark unread messages as read if they are older than…”. Just enable this option and enter a value for the number of days after which an unread email will be automatically marked as read. That’s it. The add-in will keep monitoring your mailbox for unread emails that are (or become) older than the specified number of days and it will automatically mark them as read.